Every brides guide to an unforgettable wedding. DRUM Weddings is everything you need to plan your dream wedding. 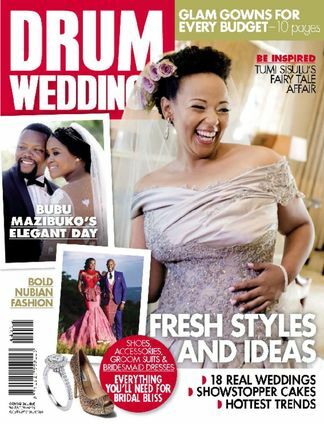 Celebrities such as Gugu and Letshego Zulu let us peek into their wedding albums, while real Mzansi brides show off their big days and give inspiring ideas for traditional and Western-style weddings. There’s an extensive bridal fashion section, hair, shoe and accessory guides and advice articles on everything from wedding etiquette to budgets. It’s everything you need to plan your dream wedding. Be the first person to tell us what you think about Drum Weddings and you'll save $5 on your next purchase! 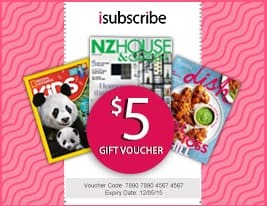 https://www.isubscribe.co.nz/drum-weddings-digital-subscription.cfm 15320 Drum Weddings https://www.isubscribe.co.nz/images/covers/nz/541/15320/square/DrumWeddings191610233.jpg NZD InStock /Digital/Style/Wedding Every brides guide to an unforgettable wedding.